GoFit's Massage Ball reaches deep muscle tissue-targeting knots and trigger points to relieve pain and soreness. Made of dense lightweight foam with a solid core, this unique therapy tool targets virtually all muscle groups. It has a soft textured surface to keep it in place while you roll away muscle pain. Leaning on a wall or laying down, simply press and roll. 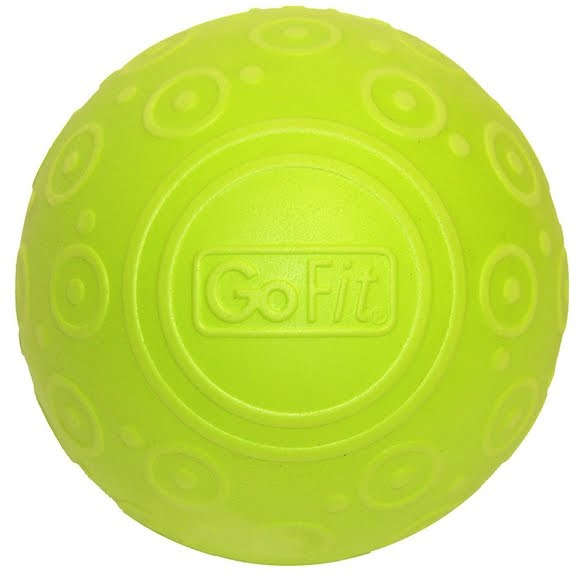 GoFit&apos;s Massage Ball reaches deep muscle tissue-targeting knots and trigger points to relieve pain and soreness. Made of dense lightweight foam with a solid core, this unique therapy tool targets virtually all muscle groups. It has a soft textured surface to keep it in place while you roll away muscle pain. Leaning on a wall or laying down, simply press and roll. You decide how much pressure to apply for maximum relief. Ideal portable therapy, the Massage Ball is part of GoFit&apos;s Muscle Pain Management System.